Superdoodle’s co-founder Billmund has been working on our biggest job to date, creating squllions (we’ve actually lost count) of illustrations for Australia Jägermeister’s social media campaign ‘Creatures Of The Night’. The content for the new social work features five creatures of the night cataloguing the way they spent a distinctly Australian summer. The caricatures reflect male character types and their interaction with others in their friends groups. There is the frugal Fox, a noble Stag, an Owl who loves to party, the trusty Wingman and a Snow Leopard who spends too much time in his man cave. 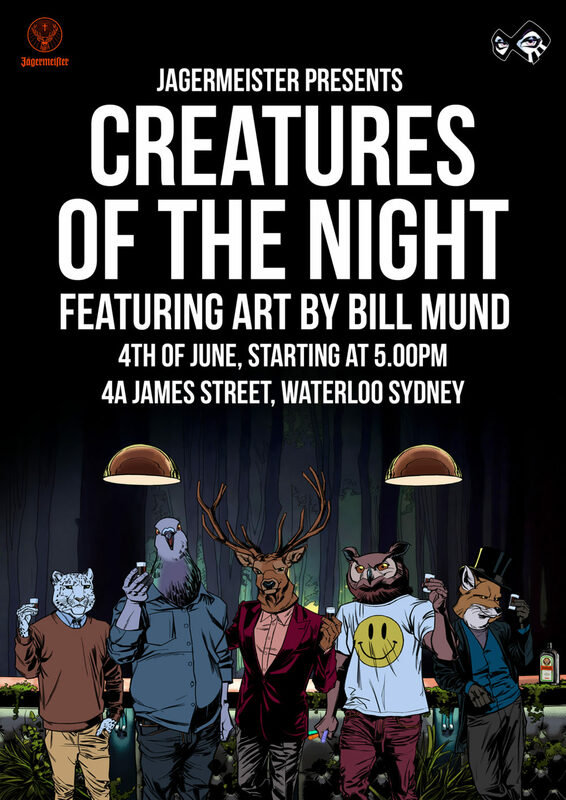 After an overwhelming public response and appraisal from the press, The Drawing Book Studios and Society Social hosted an event to celebrate Jagermeister’s ‘Creatures of the Night’, drawing attention to the adventures of this cheeky group and their talented creator, Billmund. 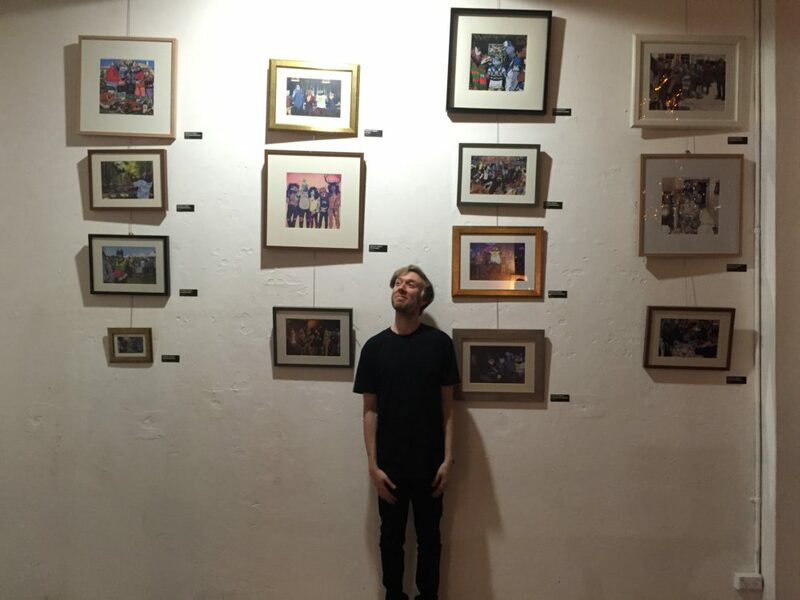 We’re super proud of all of the work that Billmund has put into this project. The event helped raise $2,000 for charity and everyone had a fantastic night.